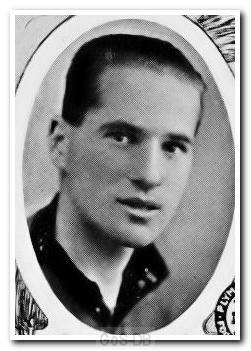 Fellowes started his career in non-league football with Tavistock Town before coming to the attention of Argyle in 1929. Although he spent four full years at Argyle, he only made appearances in the seasons at each end of that period: two in 1929-30 but then not adding another three until 1932-33. He left for Clapton Orient in 1933, where he played 78 times and scored his debut league goal, followed by the short distance north to Luton Town, where he clocked up over a century of appearances in a two-year spell, before returning to the South West with Exeter City in 1938. Records show an eight year association with City, during which he played 56 times, but he did add a further five appearances to his Argyle total in 1939-40 – almost a decade after his first – in the War League whilst still registered as a League player with The Grecians. Leaving St James’ Park in 1946, he completed his career back where it had all began, with Tavistock Town. Hi, Neil Kaufman here historian to Leyton Orient. I was wondering if you have the date of death of a former Orient and Plymouth player named Billy Fellowes, I have seen died in Plymouth during November 1987, but no actual date. Hope you enjoyed the 1-1 on Tuesday!